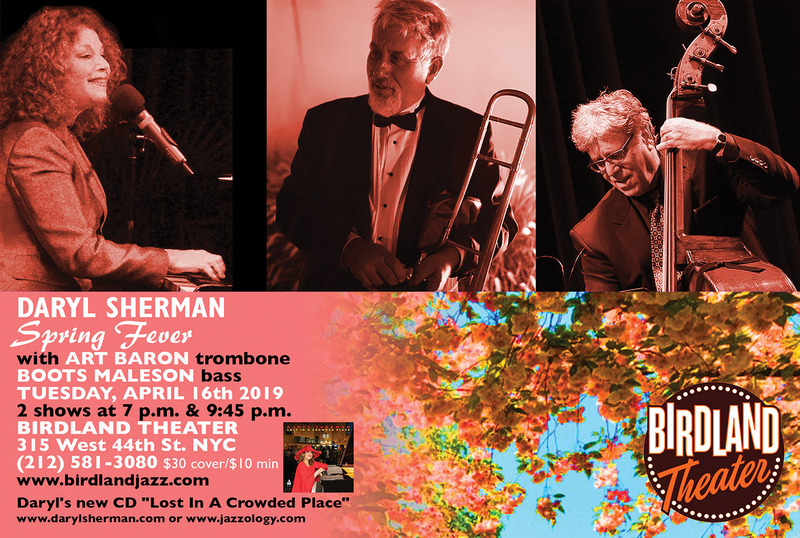 Manhattan mainstay singer- pianist DARYL SHERMAN returns to Birdland Theater on Tuesday, April 16 with Boots Maleson on bass and special guest, trombonist Art Baron, who played with Duke Ellington in his last orchestra. With a seasonal flight of fancy, this show "Spring Fever" will also include songs from Daryl's highly praised new CD, "Lost In A Crowded Place". There'll be samplings of Ellington, Louis Armstrong, Nat Cole, Ella and even some Sherman originals. In addition to familiar favorites, Daryl Sherman always has a surprise up her sleeve. "A pianist, singer, and occasional songwriter and bandleader, Ms. Sherman is the living heir to the two great ladies of this highly rarefied tradition, the sophisticated and swinging Barbara Carroll and the delightfully kooky, musically majestic Blossom Dearie. Ms.Sherman draws on legacies and repertoires of both - and a great many others besides. Whether being silly or sophisticated, doing a song from Fats Waller or Noel Coward, she's never less than thoroughly convincing." "Sherman's original 'Land Of Just We Two' has a gracious melody of Bernsteinian character, furnished with carefully considered lyric poetry. 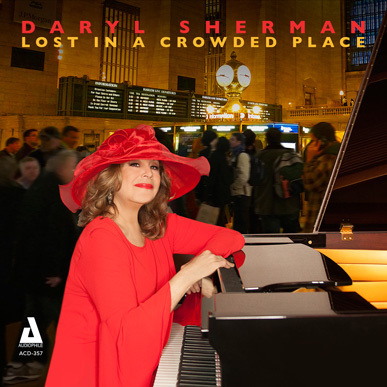 She has the rare gift of being able to create a song that is mature, durable and enjoyable.How pleasing to hear a Daryl Sherman original featured as the opener of this attractive new release."